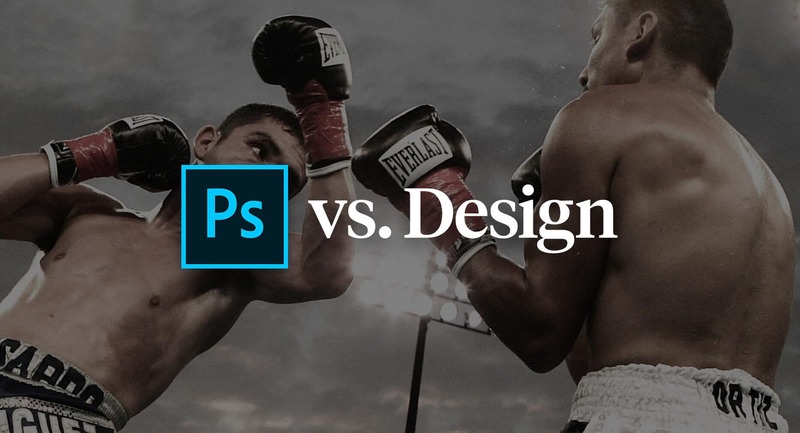 And that, friends, is how the Photoshop (or Illustrator, or CSS) vs. Design battle begins. Let’s get ready to rumble. The Photoshop Monkey is a capable fighter with a couple of advantages. Namely, he’s cheap budget-friendly and doesn’t have a brain enthusiastic. He has a place here, certainly. There have been times when Photoshop Monkey has won, fair and square. Frankly, there have been times when he’s completely obliterated his opponent. Sometimes the best solution is to affirm, execute, and move on. Photoshop Monkey is far-and-away better at that than his competitors. Indecisiveness has no place here. This is the forum for shooting now and asking questions never. Damn the torpedoes, baby, this is happening. Photoshop Monkey has a high degree of dexterity. He has received a good deal of training and has accumulated many hours of experience. He possesses the technical ability to execute a plan perfectly and efficiently, without breaking a sweat. As long as the plan is good, Photoshop Monkey is tough to beat. The Designer is, technically speaking, on par with the skills of the Photoshop Monkey. He can do all of the same stuff Photoshop Monkey can do, but with a particular augmentation: for better or for worse, the Designer has the capacity to evaluate what he’s doing. The Designer can make a plan, begin to execute it, and then change course if it’s not working out. At any point, he can view things from 10,000 feet and make determinations about the overall strategy and whether or not things are progressing towards the goal. The Designer can receive multiple options, parse them, and act out what he thinks is best. And, if he’s wrong, he can stop the bleeding and turn back to try again. The downside here, though, is that these extra computations and evaluations add up, and can open the door to a defeat at the hands of Photoshop Monkey’s blinding speed. Indecision and the constant evaluation and re-evaluation of the path can weigh the Designer down and get him on his heels, looking like he’s stuck in the mud. Photoshop Monkey comes out, guns blazing. He’s throwing massive shots and the Designer is barely able to weather the onslaught. Photoshop Monkey has already thrown and landed a slew of blows while the Designer putzes around looking for fonts spends all of his effort dodging and deflecting. Round 1 ends with Photoshop Monkey unanimously winning. Rounds 2 and 3 go roughly the same. If this keeps up, the Designer will lose. Probably quickly and in embarrassing fashion. Same thing. Photoshop Monkey is, for the first time, showing signs of vulnerability. The bell rings, and both fighters go back to their corners. 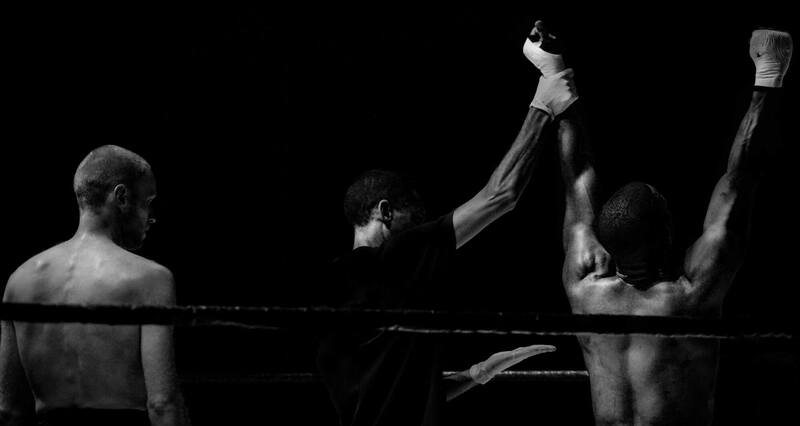 This time, both fighters come out strong. As in the previous rounds, Photoshop Monkey swings away. Unlike in those rounds, though, nothing is landing. The Designer has a beat on his every move. He maintains his form beautifully, but the plan isn’t working anymore. He presses on. Meanwhile, the Designer now begins to show off what makes him great. All of the speed and all of the power that Photoshop Monkey displayed is now being showcased on the other side, and with a variety and effectiveness that his opponent could never hope to achieve. Jab. Block. Jab. Jab. Dodge. Right hook. He’s dancing. Photoshop Monkey can move a brush, but the Designer is an artist. He turns back. The Designer smirks; they both know what’s coming. For Photoshop Monkey, hope is dead. 5 seconds later, it’s all over. It is a difficult task to convey the value of the entire design process at any one point of the project. The reality, though, is that the design process done by one who’s been around the block a few times will result in a superior product in the end. When a client asks for the execution of a particular idea, sometimes it is best to simply do it and move on. However, I believe that this is an exception, not the rule. If the role of the vendor is reduced to Photoshop Monkey in the main, ultimately the project will fall far short of where it could’ve gone. Our job, as Designer, is to build trust and provide encouragement, but also to try to communicate what we think is best, and why. When we’re given the freedom to dance, beauty ensues. This entry was posted in Brand, Design, Graphics. Bookmark the permalink.